We are now moving into a very interesting time for those who have claimed as their identity that of light worker. Now we say in some humor that interesting times have been viewed as both a blessing and as a curse. Go ahead and chuckle. We intend a bit of lightheartedness. But, even though we jest with you, this is as serious as a headache, as you say. On some days, you feel that time is at a standstill and you are making almost no progress at all. On other days you feel as if the world is spinning so fast it may throw you off. Is this not so? 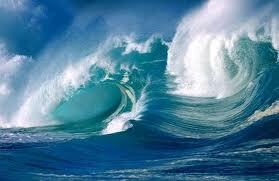 What you are feeling is waves of change. And you may be certain that change has occurred and is still happening in ever increasing intensity and amount. Depending upon your reaction to this, you may feel elated or put upon. Please strive for the former. If you allow the feelings of discomfort, stress, and helplessness to overtake your feelings of gratitude and anticipation, you can imagine without our help what that will draw to you. Now, the purpose of this message is to alert the sensitive ones among you that there is approaching, rapidly approaching, a period of greatly increased change, both physically evident and otherwise. And we are intending to have you move into an accepting and grateful state of mind, a mindset of great anticipation. Many, many of you have indeed been feeling as if something huge has been just around the corner for some time. It is indeed. And the corner is just there. Also, many of you are beginning to notice subtle changes in yourselves. Of course you then tend to discount them or forget them. We remind you that your first reaction, if it is one of acceptance and gratitude, will bring more and greater change to you more quickly. Now, in the present, many of you do practice this. We remind you because the surf is about to come up, and the breakers you will experience will be easier to ride well if we prepare you first. Those of you who are well along to communicating with us yourselves have already gotten this message. We speak now to those who are unsure that they know what they know or who are just waking. Know this above all else in these times, everything, and we do mean everything, is occurring in your highest and best interest, just as promised. You will be asked to go into fear, even terror. There is no bogeyman in the closet. There is only the new world you have created. Of course there are those who are terrified of that, but do not let them control your mind. If you simply look at what you can see around you, you will see your world rapidly improve. As you see it change, congratulate yourselves for what you have accomplished. So, polish your boards and get ready to ride the pipeline. Love and light to each of you.